While most people experience dry mouth on occasion, those who experience this condition on a regular basis are at an increased risk for oral health problems that can result in other health problems as well. In the mouth, saliva helps wash away food particles and neutralize acids in the mouth to reduce harmful bacteria between regular brushing. When the mouth does not produce enough saliva, this can result in an increased risk of tooth decay and gum disease. Left unchecked, bacteria gets under inflamed gum tissue and travels through the blood stream. This can lead to other health problems such as diabetes, cardiovascular disease, osteoporosis, respiratory diseases and infections, and other diseases. Certain health problems, medications, and treatments can lead to dry mouth, as well as certain lifestyle choices that include tobacco use. If you have chronic dry mouth, avoid sugary and acidic foods, rinse your mouth after meals or snacking in between brushing, and follow your dentist’s recommendations. Your dentist may provide special gum or other products to help increase saliva flow. In addition, you can use a mouthwash that does not contain alcohol and toothpaste that does not use the ingredient sodium lauryl sulfate, which can dry your mouth. 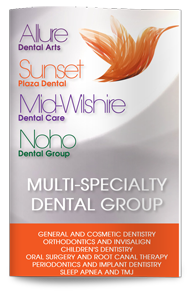 If you have issues with a dry mouth, make an appointment to see our dentist in West Hollywood. The dentist can make recommendation based on your needs to help alleviate dry mouth to protect your oral health.